Captain America is one of our greatest heroes. He commands both gods and men in battles that protect America and its ideals. He is the representation of many of the best things our country has to offer. One might say that he is the embodiment of America's values. He also happens to be a normal man who lives an abnormal life. Even if his hectic lifestyle is restrictive to fully enjoying entertainment, he needs something with which to relax himself after a long mission. Yes, even super men need a break. 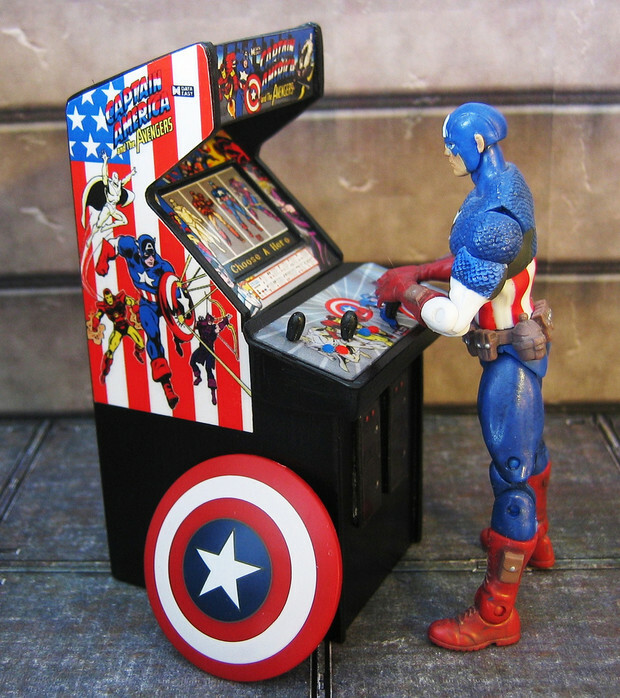 These are the games I could see Steve Rogers sitting down with and enjoying in his high-tech S.H.I.E.L.D. funded rec room. Why wouldn't you think I'd start this list with the most iconic shield throwing game of all time? 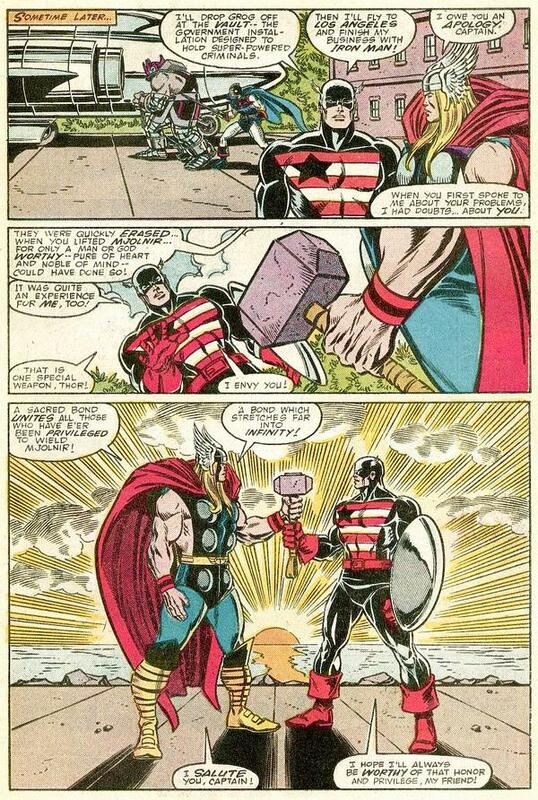 Though, I don't think Cap would play this just because of the shield. Something tells me Hawkeye would be giving him a hard time about having his likeness stolen and curiosity would just get the better of him. I'm sure there is a lot that Captain America would criticize about a discus on a chain, but I'm sure the idea wasn't lost on him. It should make shield throwing a lot easier when you don't have to worry about if its coming back to you. The man had to have played with a Duncan Yo-Yo at some point in his younger years. I don't think anybody could imagine how hard it would be to wake up in a world that has drastically changed from what you remember. Everything you know and everything that you had learned would be a question. Nothing would seem right. When called upon you would have to fight to defend this world. Crystalis is the therapy Cap might need for some perspective on his life. Books helping people cope with time displacement issues aren't at the local Barnes and Noble. Video games can help him move forward in his life. It begins with a man waking from a frozen slumber and stumbling out in to the world. He buys a shield and goes out looking for answers. 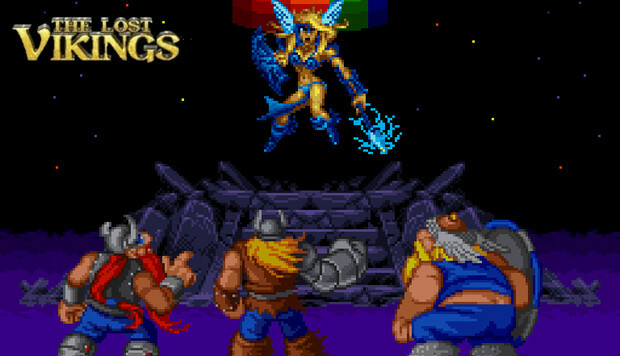 He then comes across some friends that help him on his quest to defeat evil. I'm certain the parallels in story could help him overcome some of the awkwardness to find that there is an understanding of what he went through. There isn't one man in all of gaming more equipped to handle a shield than Link. 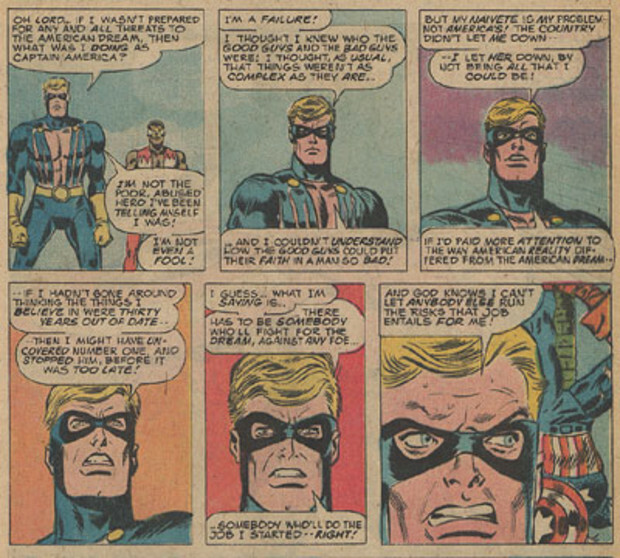 As often as a shield is used as a weapon, Captain America knows first and foremost that it is his only line of defense. 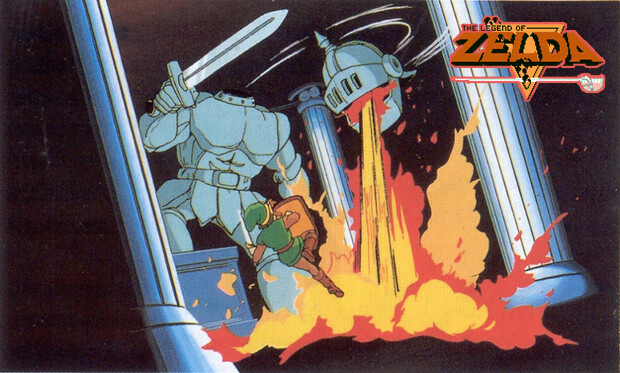 A certain appreciation must be made for Link's legendary defense against the Deku Scrubs and the many nefarious assailants of Zelda II. One must also commend the accuracy of needing to time an attack so that it leaves little to no openings. Sure, you can throw a boomerang, but you can't protect yourself well while its thrown. A shield is about protecting you in the proper time and place. This doesn't even bring to point Link's accuracy and technique with the boomerang that would stand above anybodies true abilities. Well except for Cap's own. If Magneto calls in a threat, you go get the X-men. If Galactus is feeling peckish, you find the Fantastic Four. 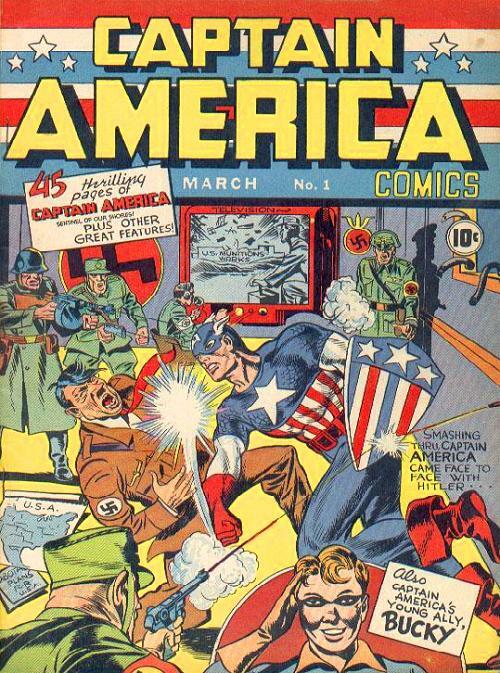 If Hitler is being resurrected, you tell Captain America to go punch him in the face. Bionic Commando is more Captain America than nearly any other game on the market. You have a guy dependent on a single piece of technology on his left arm defending him against hordes of enemies. A guy that doesn't just sneak in to a compound, he storms it like a one man militia. Somebody that chews up and spits out Nazis for breakfast. He's doing all this just to save a friend. Somebody Captain America can more than relate to. When you think of Captain America, you always think of his shield or the flag on his head. Him being the leader of the Avengers through nearly all iterations is usually farther down the list. This and his day to day work with Norse gods should make a game like The Lost Vikings right up his alley. The key to The Lost Vikings is strategy, something any leader should be proficient in. Placing troops in situations that maximizes their advantages and using it to move the rest forward is the name of the game. It's practically all he's been doing since he became Captain America. Those Vikings three also represent Cap's three strengths. He has Eric's speed in his charge, Baleog's precision in shot and Olaf's durability in how he uses his shield. 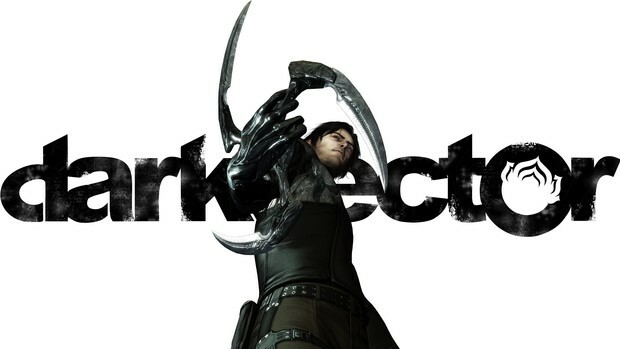 While there are many games with shield throwing mechanics, none of them has the feeling that Dark Sector has. None of them will give you a weapon that you can wield and assail your enemies with. You just won't find many with a weapon like the Glaive. It can shield its user when needed while being a highly efficient throwing weapon. Through skill, it can be thrown with deadly accuracy. 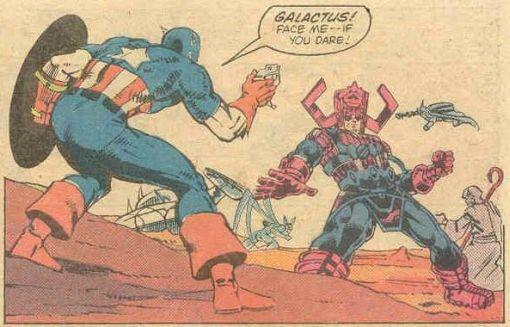 It also does things a bit differently than Cap's weapon of choice. It can absorb and adapt to elements around it. At times it can even bring light to darkness. Stopping Soviet scum requires the best in a man's abilities. Something Dark Sector's Hayden Tenno knows very well. He had to become a one man war machine to stop this threat. He's been in a position that Captain America has been in many times. A place the Captain knows too well. Steve Rogers could never be a spy. As brilliant as the man is in battle, he sticks out like a sore thumb in covert affairs. Jessica Jones found his secret identity out during a simple stake out. The wars he has fought have had clear enemies. That doesn't mean he isn't curious about the spy game. The war he knows is gone. He is now surrounded by spies. Black Widow has been playing both sides of the field all her life. Nick Fury has been doing this since before James Bond was even an idea in Ian Flemming's notebook. A man surrounded by spies could only want to learn the mannerisms that define their intent. Spy Party would teach Captain America how to read Jessica Drew better. It would teach him how better to protect American lives. Spy Party is research for a man who is surrounded by liars. Oh, another shield throwing game you say? Well, yeah. The difference between all these games is that they all offer a completely different technique behind it. What Discs of Tron offers over any other game on this list is the reflexes that one would need to use in battle paired with the precision it takes to hit the opponent. Maneuvering between multiple platforms to throw a disc accurately towards an attacking opponent is complicated and takes some quick reflexes and coordination. Something that would be able to challenge the dexterity of America's champion in the later levels. 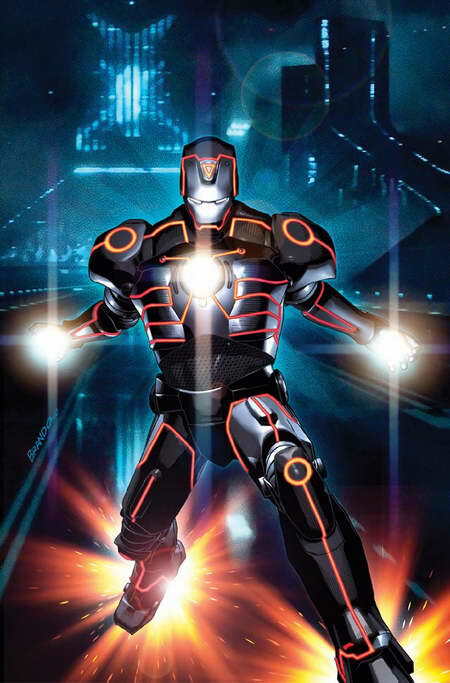 I'm also pretty sure Tony would have a Tron cabinet back at Stark Tower. He just seems like a Tron guy. 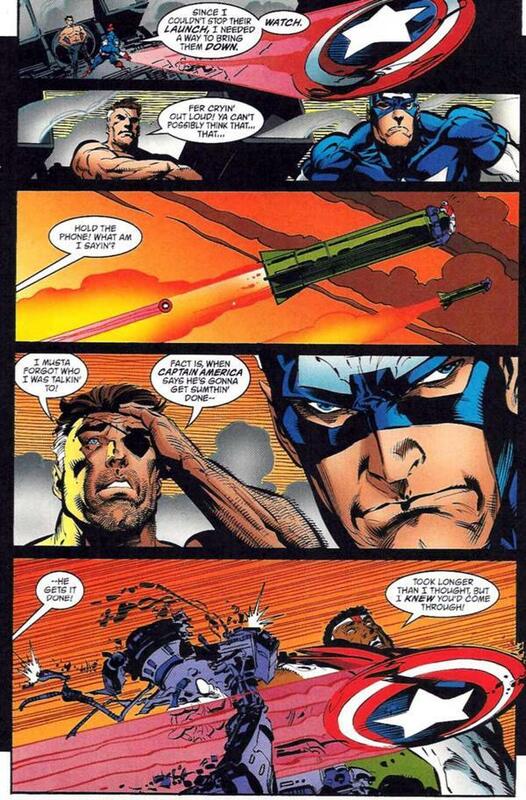 Snake is a reminder of how dark Captain America could go in his dealings with power mongers and terrorists. Of how even a legend must keep his wits about him in chaotic events. A reminder of how he was betrayed by a man he would willingly take orders from and because of this, he must do the right thing even when he is replaced by another. 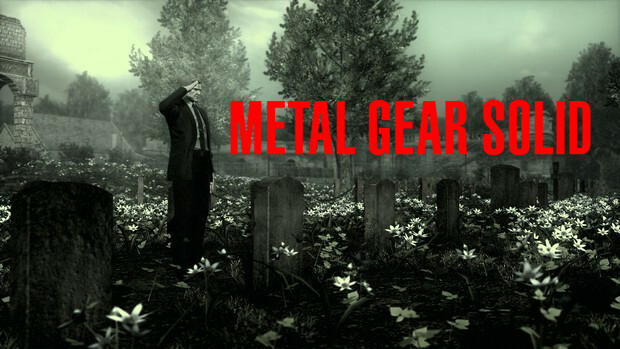 Solid Snake reminds us to stay calm in overwhelming situations. That love can bloom on a battlefield. That you can find friendship in the unlikeliest places. Most importantly, he taught us that we only need to use the gun when it is most necessary. Lessons that Captain America knows too well. Old people are drawn to Wii Sports. It has some magical hold over them that helps them overcome their age and enjoy things like they used to be able to. I'm sure they have this in the nursing homes of some friends from Cap's past. You couldn't tell me that the great Captain America would sit out a challenge from the video game tennis champ and octogenarian Ralph Baer. Though I'm sure he would destroy all the elderly competition in Frisbee golf. Now I know Captain America has more important things to do like making movies and saving the world. Sometimes it's good to know that the leader of the Avengers is allowed some time to himself. He deserves something better than the day in and day out life of a super hero. He deserves a sit down with a good game. Game on, dear Captain. Game on.